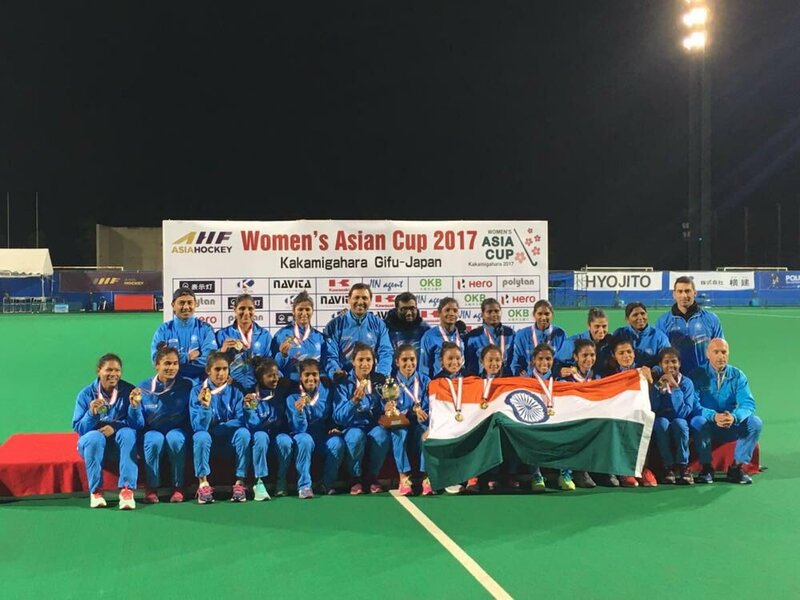 Kakamigahara (Japan), Nov 5: Goalkeeper Savita produced a stunning save in a tense shootout as India won the Asia Cup to secure qualification in next year's hockey World Cup following a nerve-wracking win over China in the final here today. The following minutes saw both teams play at par with each other and not allowing either of them to stay in control. With nine minutes left for the final hooter, India upped the ante, desperately trying to find a gap in the 15-yard mark, but the Chinese defenders were resolute. Meanwhile, China won their fourth PC of the match with little less than three minutes to go for the final whistle. But it was brilliantly saved by rusher Sunita Lakra and almost immediately, India launched a counterattack but only to send the ball wide off the target and complete the full time in a stalemate. The men's team had also emerged Asia Cup champions early this year.